You’ve put off getting backyard chickens long enough! Now’s the time to start your flock and start rolling in the eggs. It seemed like a fad, didn’t it? Urban and suburban chicken coops popping up all over the country, appearing on reality TV shows, on school campuses and even in celebrity backyards. Maybe you saw it all over your own social media, too: personal friends or neighbors posting photos of their baby chicks, then their laying hens and finally of them grinning goofily over their first eggs. After my husband and I left our big-city jobs and lifestyle, relocated to his sweet hometown in the mountains and bought our first home, the very next thing we did was start a flock of chickens. Those grinning goofballs I mentioned above? That was us. Today, we have expanded our own homestead to include other animals, and those friends and family who probably thought we were nuts? Well, they now keep chickens, too. I Can Buy Eggs At The Store: Why Raise Chickens? After years of keeping chickens and eating the eggs they lay, I have come to appreciate my birds for far more than their contribution to my table. Chickens are inherently an organic form of pest control—a must for any gardener or anyone who spends time outside, really. They love to eat ticks, and since keeping birds in my backyard, the tick populations in our little microclimate have plummeted. Chickens provide copious amounts of nitrogen-rich manure, to use in your own garden, or to sell or trade, too. They are also entertaining to watch and soothing to listen to (unless you have a rooster, of course). And, naturally, the eggs laid by backyard hens, whose diets are often supplemented with greens, grass, bugs and kitchen scraps, put grocery-store eggs to shame. The good news about any popularized trend is that there is usually a lot of support behind it. The interest in keeping backyard chickens in urban and suburban areas has encouraged changes in local laws, with many ordinances against the keeping of pet chickens overturned. Before getting chickens in your own municipality, check regulations regarding keeping poultry within your city’s limits—most chicken-friendly towns only allow hens (no roosters, due to noise), limit the number of birds you may keep in a single flock, and are regulated largely by complaints. Also discuss with your HOA, if you live in one, before bringing birds home, as they often have their own separate . Once you determine that chickens are legal in your city and everyone in your household is on board with starting a flock (or at least, begrudgingly agrees), you’re ready for the fun part: planning a coop and researching breeds. Start With Chicks Or Chickens? There are advantages and disadvantages to each potential method: hand-reared chicks are sweet and will likely be easily managed if raised in your household, but they require a lot of care. It will also be several months before you see any eggs. 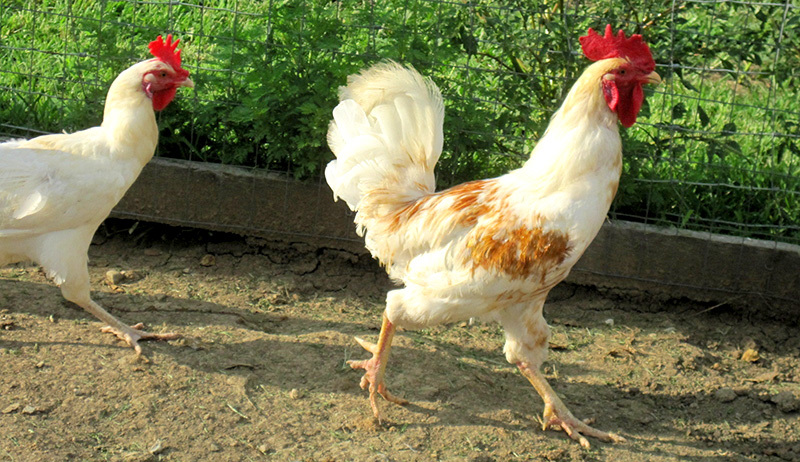 Pullets may be flightier, but they’ll be at “point of lay” (meaning you get eggs right away), and because they’re sexually mature, you’ll know there won’t be any surprise roosters in the bunch. It would also be prudent to learn as much as you can about chickens and how they behave: peruse backyard-chicken-keeping websites, read books about keeping chickens and get to know their quirky ways. Chickens are social creatures, so you’ll certainly need more than one. I consider three to be a bare minimum number. They’ll be happier, however, with a bit of a larger flock: Anywhere from six to 10 birds seems to be a sweet spot, as far as the intricate social dynamics of chicken hierarchy go. Hands down, my favorite part of getting new chickens is researching breeds. I’m fully convinced there’s a chicken breed out there for everyone. Want a big fluffy, cuddly bird? Try the Buff Orpington. Rockstar egg layer? The Leghorn is for you. How about one that looks like David Bowie in Labyrinth? Look no further than the Polish chicken. If yours is to be a family flock, handled and cared for by small children, docility and disposition will likely be at the top of your list. 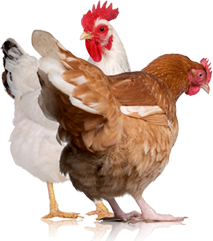 If you keep chickens for culinary reasons, finding a good laying breed or dual-purpose breed will be most important to you. If you live where winters are extreme, cold-hardy birds will be a priority. You get the gist. There are handy charts and tools online for finding your perfect breed. Are Your Chickens’ Needs Covered? Chickens are painlessly easy to care for—once you have everything set up, that is. Before anything else—the equipment, feed, treats, funny sweaters—they need a secure coop. Housing is a basic requirement for keeping chickens, and it serves the purposes of keeping the elements and predators out and chickens safely in. It also provides a warm, dark and dry place for them to lay eggs, in the way of nest boxes. Depending on your city or HOA’s rules regarding the ownership of chickens, the coop may need special placement in your yard, and special upkeep to always to look (and smell) its best. As with any pet or livestock, fresh food and water is a daily necessity. Online retailers, hatcheries and farm-supply stores all sell the necessary equipment for feeding and watering chickens, on any scale. Fun items, like specialty treats and chicken sweaters (I wasn’t kidding!) 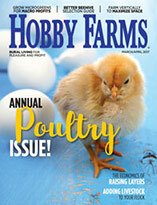 are also available through pet-chicken websites and catalogs. In your first years as a chicken keeper, you’ll inevitably have questions. One great option is to turn to the vast world of information and that is the internet. There are wonderful online resources, forums and communities for chicken keepers, and by talking to people virtually, you can source from an endless pool of information and experience. However, don’t underestimate the power of local connections, too. 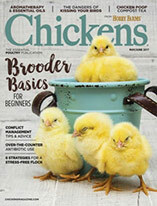 See if there are backyard chicken keepers in your area that gather and support one another, and get to know them. My town actually has a Meet-Up group, and they do egg- and chicken-themed potlucks. Really! Local resources will come in handy as your birds get sick, need care, require veterinarian recommendations, or simply to swap stories and to buy and sell new birds. On social media and in conversation, I tend to make keeping chickens look flawless and easy. And truth be told, most of the time, it is. But to keep chickens means to be a steward of life and sometimes death. When I was first getting started, a local farmer friend told me that chickens may simply “up and die”—passing on with no known reason or apparent illness. Alive and scratching one day, gone the next. Several years later, when one of my chickens did indeed “up and die,” I thought of his words. However, knowing what I know now, I recognize the keeper’s role in having healthy and safe birds. Some of it is in your control, and some of it isn’t. Chickens have a surprisingly long lifespan (10 to 15 years in some cases), but they’re also the quintessential prey animal for predators large and small. This means that each one is a fluffy, squawking, feathery target. Domestic dogs are the main suburban chicken predator; foxes, raccoons, and weasels are considered a close second. Chickens even fall prey to the tiniest of predators, such as mites and lice, too. Secure and properly maintained (read: clean) housing can prevent the loss of your birds to some of these predators. Death isn’t the only part of life with chickens, thankfully. Once your pullets begin to lay, you may find odd eggs, encounter unusual reproductive ailments, and notice other strange (to you) habits. If not properly cared for or cleaned, chickens and their enclosure may begin to smell. If you started with young birds, such as chicks, consider what you’ll do if one grows up to be a rooster. Finally, make arrangements for your birds when you travel (“chicken sitter” is indeed a growing occupation). Welcome to the odd and wonderful world of keeping chickens.